The Ministry of Foreign Affairs of Ethiopia(MoFAE) About 57 Ethiopians are confirmed to be dead due to boat accident in the north east of Djibouti. The accident happened in Obok region, Godoria locality, according to Fana Broadcasting Corporate report which cited the ministry, and they are all laid to rest in the same locality. The victims were trying to cross to Yemen “illegally.” Yemeni captain of the boat is also confirmed dead. Deputy mission head of Ethiopian embassy in Djibouti led four members team to the scene of the accident, about 37 kilometers north of Obok, and spoke to survivors of the accident, about 16 in numbers. It also had discussion with Djibouti government officials, Red Cross and refugee organizations. 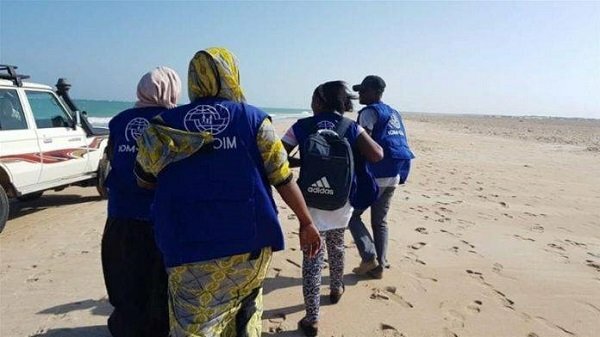 The Ethiopian Mission in Djibouti reportedly explained the dangers to the survivors and about 330 other Ethiopians, and managed to convince them to return to Ethiopia. Government is reportedly working on supporting the return of the migrants to Ethiopia. Ethiopia is also holding talks with Djibouti authorities on ways of working in coordination against human trafficking. The Ministry of Foreign Affairs of Ethiopia issued a statement to express condolence to relatives of victims of the accident but it is unclear if parents and/or relatives are informed about the death of their loved ones.